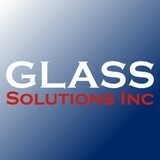 Glass & Glazing - Residential & Commercial. Custom shower enclosures, mirrors, insulated window units, window panes. Along with commercial jobs including storefront windows & doors to any custom glass work needed. We are a local, veteran owned and operated glass shop serving the Mississippi Gulf Coast. 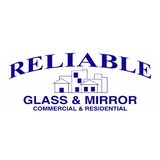 We can provide for all your glass and mirror needs, both residential and commercial. 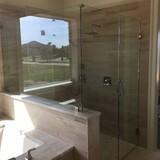 From custom shower enclosures to tabletops to hurricane impact glass, we can do it all. The Only way to do great business is to Love what you do! Zinsel Glass wants to be the single source for all of your Glass needs! Whether its a windshield repair, custom table top, glass shower enclosure, or commercial storefront, we do it all! We see the importance in superior work and craftmanship and strive to acheive our customers vision and design while staying in budget. 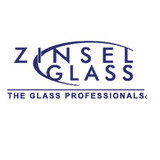 The staff of Zinsel Glass has an enormous amount of combined professional experience. Our reputation for quality service and great rates follows us through referrals and word of mouth. With Zinsel Glass, you know that you are receiving the attention to detail that we are known for. We only use the highest level of quality materials and state-of-the-art equipment on every project. The owners of our company are proud to serve the community that we are a part of. We look forward to working with you for all of your commercial, residential and automotive glass needs. Established in 1977 Authement Glass Company, a family owned and operated business for more than 35 years, has always delivered on our promise to provide professional service and quality workmanship using only the highest quality parts and materials available. Our team has over 50 years of glasswork experience and we pride ourselves on never delivering anything less than perfection to our clients both commercial and residential. We look forward to working with you on your next project regardless of the size or scope. Standard Glass & Mirror Works, LLC. What can a local Talisheek glass company help me with? If it’s a major home glass repair or replacement, the Talisheek glass company should work directly with your insurance company to help bring down costs for you, if applicable. Find Talisheek glass companies on Houzz. Narrow your search in the Professionals section of the website to local glass, mirror and shower door services in Talisheek, LA and read reviews and ratings to find one that fits your needs.